Date From whom received Record of promotions, reductions, transfers, casualties etc., during active service, as reported on Army Form B, 214, Army Form A.36 or in other official documents. The athority to be quoted in each case. 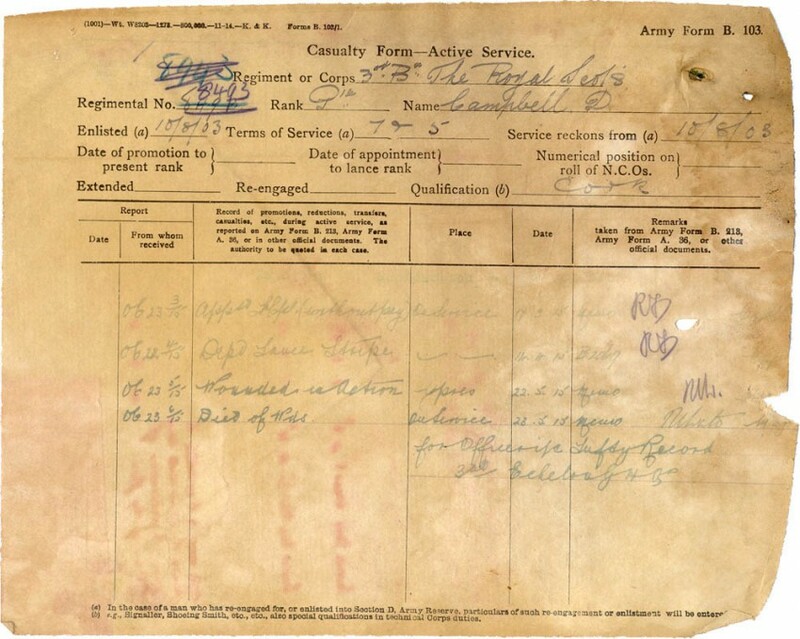 Place Date Remarks taken from Army form B.213, Army form A 36 or other official documents.